A fun and functional Happy Easter Wishes gift bag you create yourself in a flash! 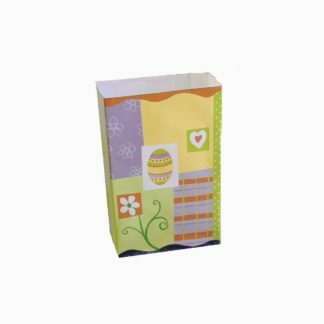 This small DIY bag is decorated for a festive Easter and has endless uses. 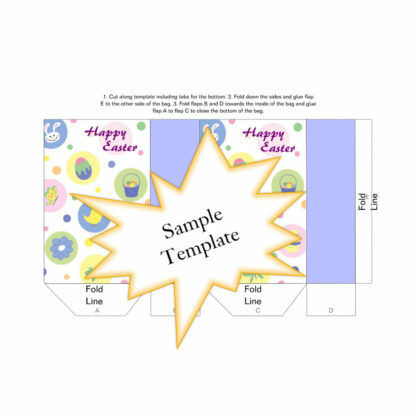 The picture, template and instructions are all in one simple, small, quick-to-download PDF file ready for you to work your gift bag magic. 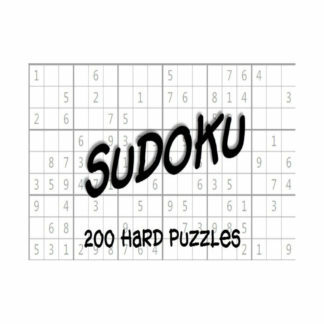 The file is created at 300 dpi for a nice, clear print out – much better than the pictures can depict. 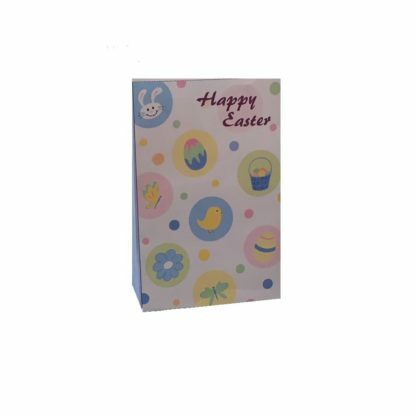 These are cute Happy Easter Wishes bags you make using any kind of paper material you would like. 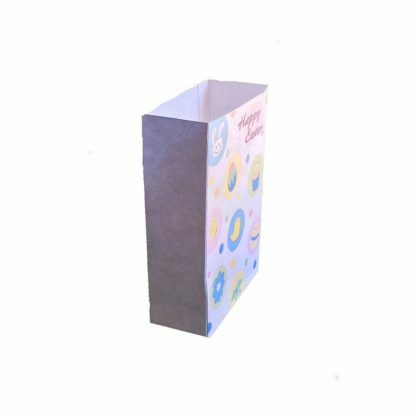 Simple, every-day printer paper is fine for lighter objects (some customers have used these to disguise gift cards or other small, easy to guess gifts). 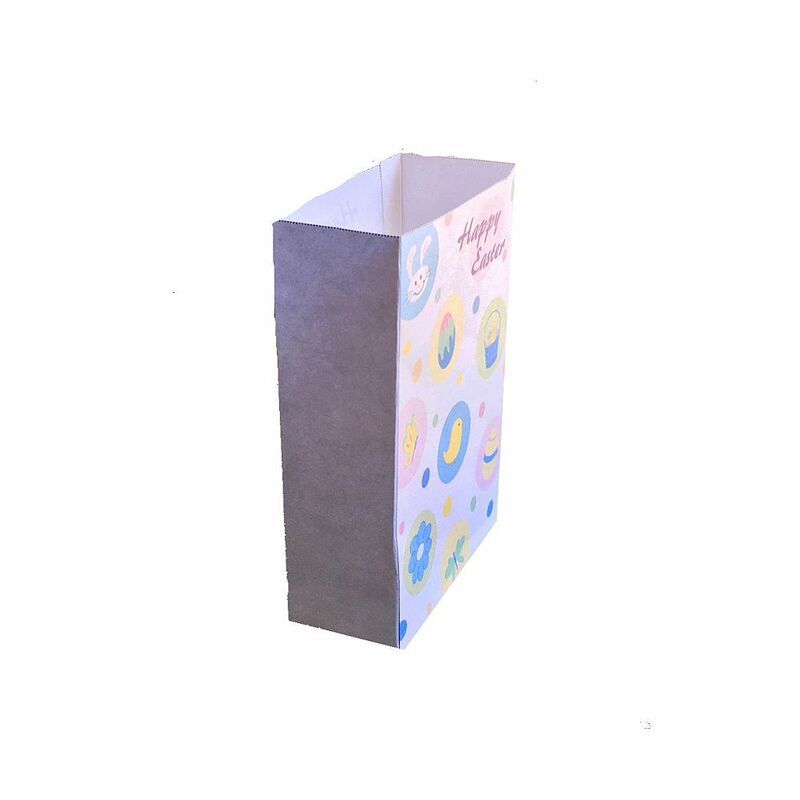 For heavier items, or little bags of candy, it may be preferable to use a heavier paper stock, such as card stock. Whatever choice of paper you use, you simply print the PDF file onto your choice of paper and follow the easy instructions included. Grab a scissors or scoring knife, if preferred, some glue and in 5 minutes you’ll have a handmade gift bag with loads of TLC! Cut, fold, glue and you’re done. Kids love to do these, too. If you wish, go a few steps further and decorate with ribbons, handles, sequins, glitter, buttons – anything you can dream up! The possibilities are endless. After your payment is complete, you will receive a link to download your Happy Easter Wishes Gift Bag Template in a computer-friendly PDF file. You may make as many of these festive Happy Easter Wishes gift bags as you wish and use them as you wish. You can even sell the ones you make if you’d like. But you may not resell or re-post the PDF file.